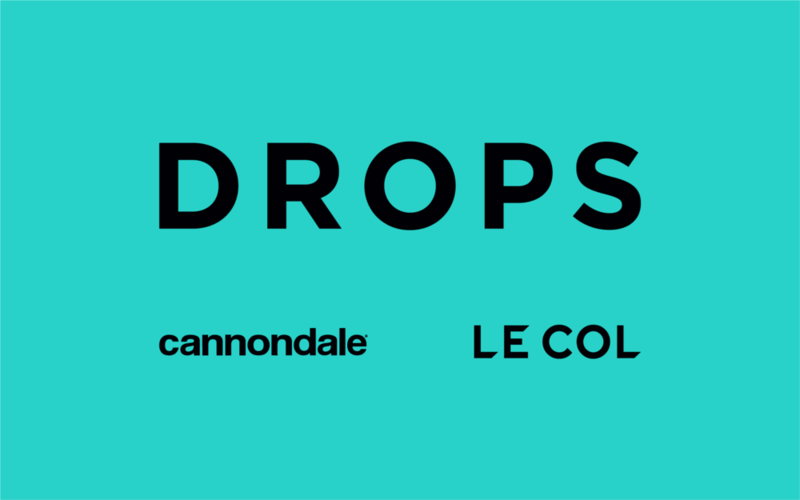 Drops are delighted to announce that Cannondale and Le Col will become key technical partners to the team in 2019. As a team that has been synonymous in partnering with premium brands from our inception, we are delighted to continue this ethos with the exciting announcement of two of our new technical partners. Cannondale Bicycle Corporation began manufacturing aluminium racing frames in 1983 out of Bedford, Pennsylvania, USA. The oversized aluminium tubes increased stiffness, resulting in frames that were super-stiff and super-efficient. Later, carbon fibre composite frames were developed. Cannondale are now firmly established as a premium brand and we are extremely honoured to have their support. Cannondale will be supplying the team with several bikes ranging from the SuperSix EVO, Synapse and SystemSix to Super Slice TT bikes. In addition, the Cannondale collaboration extends to support from Fabric, FSA and Vision. Going forward Cannondale are keen to increase their support for Women’s cycling and are excited to introduce the “special vibe and tone” surrounding the Drops project to their existing fans whilst looking to increase their fan base by tapping into the excitement that surrounds the team. Although a much younger brand, our new apparel partners Le Col, continues the premier ‘thread’ that runs throughout the team. Established in 2011 by former professional Yanto Barker, Le Col is a brand that is very much built on performance and panache, positioned at the quality end of the market. Their purpose is a simple, but enduring one. They will deliver the best possible technical products to help us achieve our full potential on every training ride and at every race. They continually search for innovation in all of their products, manufacturing from their own factory in Treviso, Italy – an area renowned for superior expertise in high-performance sporting apparel using the very latest technical materials. Tom Varney, Co-Team Director commented “Yanto and his team have been a delight to work with and obviously have a genuine enthusiasm to partner with our team. They are clearly striving to develop the finest cycling apparel in the world and their support of our team demonstrates a real commitment to women’s cycling. This feels like the start of a very exciting long-term collaboration in which we have a shared goal to boost cycle sport within in the UK.”. The team's final 2019 roster includes ten riders; Grace Anderson, Elinor Barker, Megan Barker, Anna Christian, Ellie Dickinson, Lizzie Holden, Manon Lloyd, Abby-Mae Parkinson, Hannah Payton and Lucy Shaw. The look of the team will be released in due course ahead of the team's opening race at Setmana Ciclista Valenciana. ©DROPS CYCLING LTD •WEBSITE BY 73.